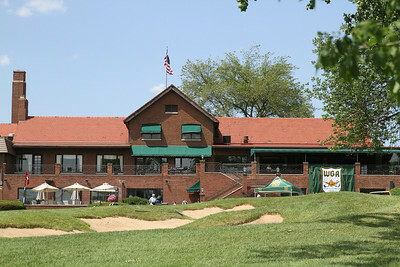 The WGA banner hangs from the back of the clubhouse at historic Flossmoor Country Club. 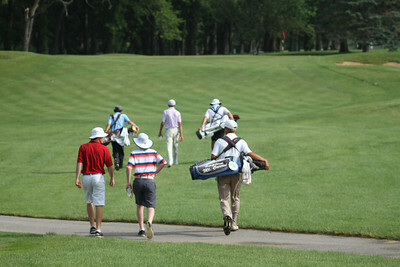 Players gather outside the clubhouse before the Long Drive Contest following the players' banquet Monday night. 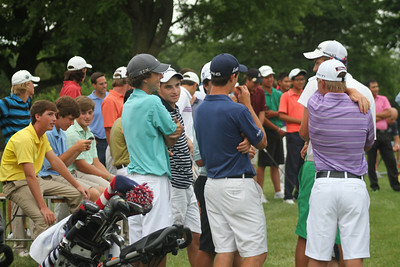 Players and parents watch the Long Drive Contest on Monday night. 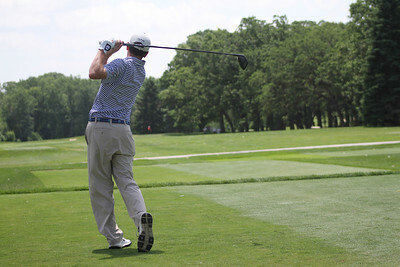 Lee Detmer of Washington, D.C., winner of the Long Drive Contest. 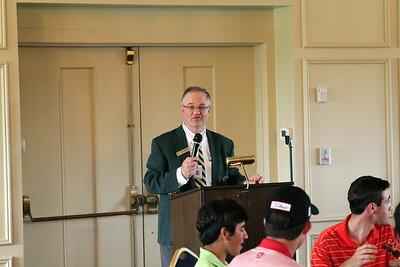 Western Junior Chairman David Haverick welcomes families and players to the 2014 Western Junior Championship. 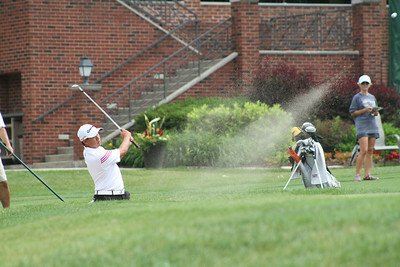 John Mancinotti of Toledo, Ohio tees off during the first round of the 2014 Western Junior Championship. 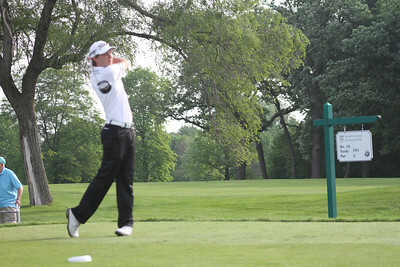 Jack Mulligan of Flossmoor, Illinois tees off during the first round of the 2014 Western Junior Championship. 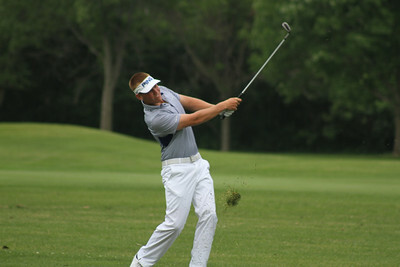 Sam McNulty tees off during the first round of the 2014 Western Junior Championship. 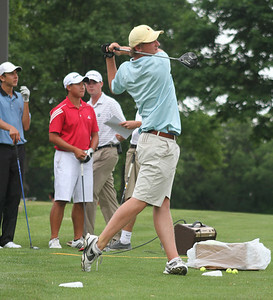 Players gather to watch Steven DiLisio of Swampscott, MA tee off during the first round of the 2014 Western Junior Championship. 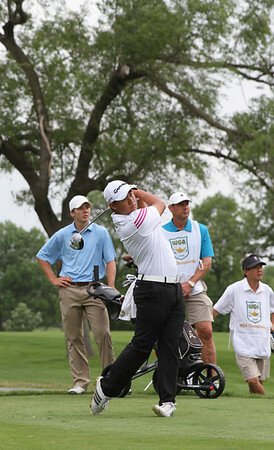 This junior was one of 155 trying to unseat 2013 champion Collin Morikawa at the 2014 Western Junior Championship. 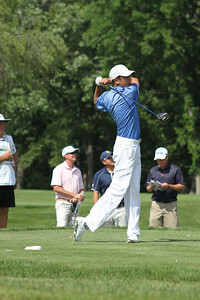 2013 Western Junior champion Collin Morikawa tees off during the first round of the 2014 Western Junior Championship. 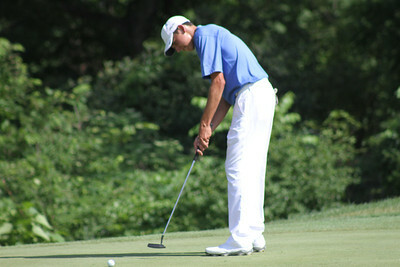 Sam Burns of Shreveport, Louisiana lines up a putt during the first round of the 2014 Western Junior Championship. 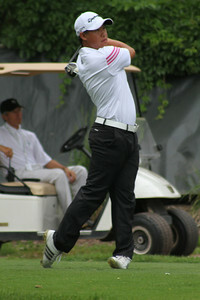 Sam Burns of Shreveport, Louisiana tees off during the 2014 Western Junior Championship. 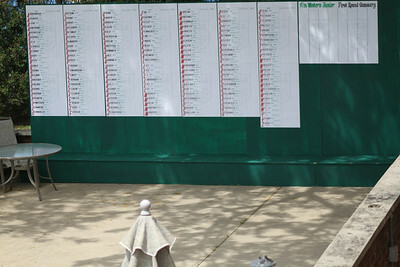 The leaderboard at Flossmoor Country Club awaits the first-round scores at the 2014 Western Junior Championship. 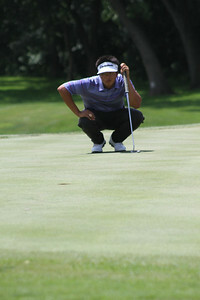 Collin Morikawa hits out of the bunker on the 18th hole during the 2014 Western Junior Championship. 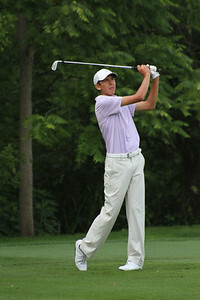 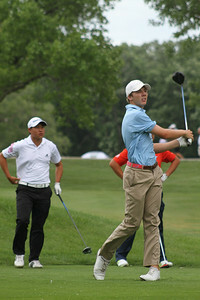 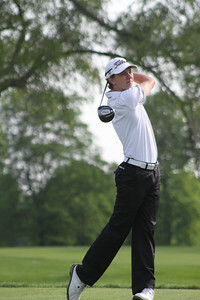 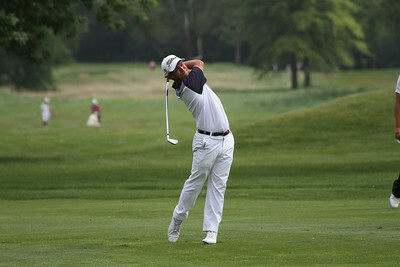 Will Grimmer of Cincinnati, Ohio, who qualified to play in the 2014 U.S. Open, hits a fairway shot during the 2014 Western Junior Championship. 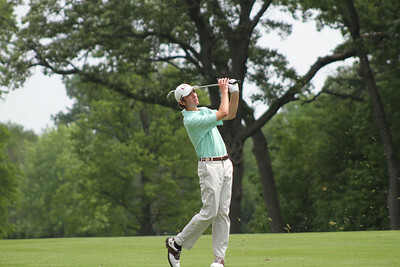 William Harwood of Columbia, S.C. tees off during the first round of the 2014 Western Junior Championship. 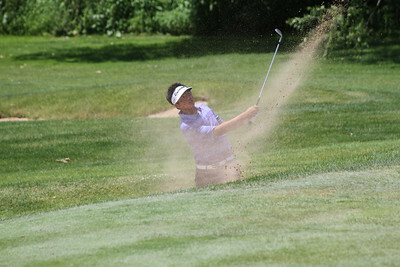 KK Limbhasut of Loma Linda, California hits out of the bunker on the 18th hole at the 2014 Western Junior Championship. 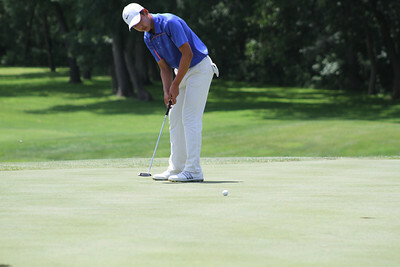 Cheng Jin of Singapore attempts a putt on the 18th hole during the 2014 Western Junior Championship. 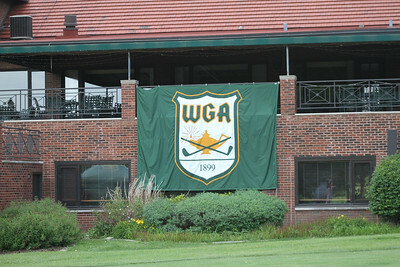 The WGA banner hangs from the patio at the clubhouse at Flossmoor Country Club. 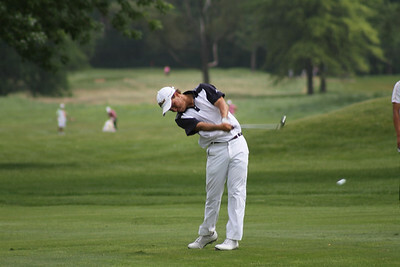 A junior tees off on the 17th hole during the first hole of the 2014 Western Junior Championship. 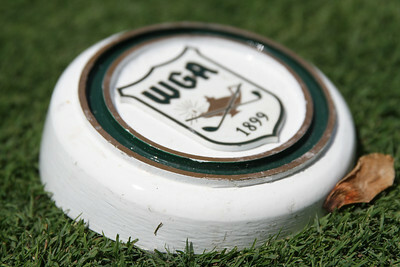 WGA tee markers await each junior on every hole at Flossmoor Country Club. 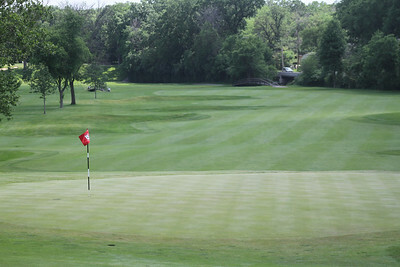 The view looking down the 18th fairway at Flossmoor Country Club. 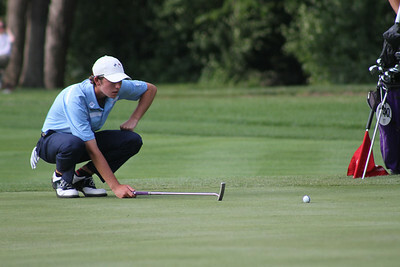 Daniel Wetterich attempts a putt during the first round of the 2014 Western Junior Championship. 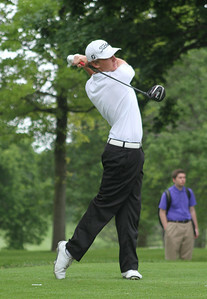 Daniel Wetterich tees off no. 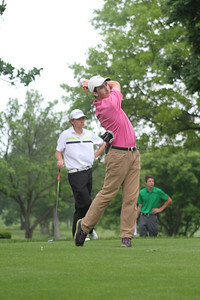 10 during the first round of the 2014 Western Junior Championship. 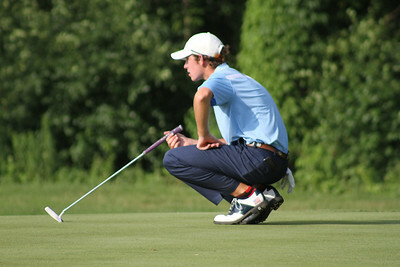 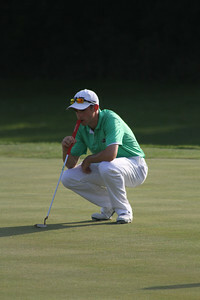 Philip Barbaree of Shreveport, Louisiana lines up a putt during the first round of the 2014 Western Junior Championship. 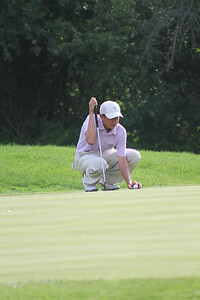 Frank Garber of Kirkland, Washington tries to read the 18th green during the first round of the 2014 Western Junior Championship. 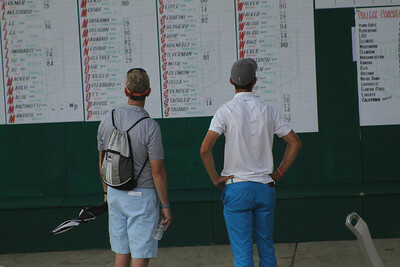 A player and family member survey the leaderboard during the first round of the 2014 Western Junior Championship. 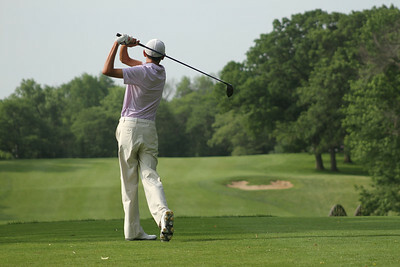 A junior warms up prior to his tee time at the second round of the 2014 Western Junior Championship. 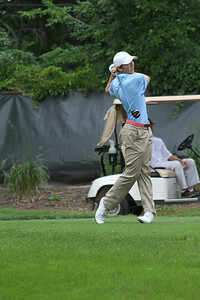 Kevin Conners of Downingtown, Pennsylvania hits from the fairway during the second round of the 2014 Western Junior Championship. 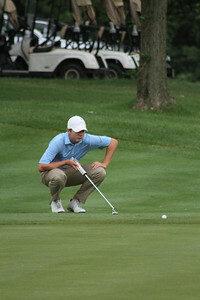 Theo Humphrey of Greenwich, Connecticut watches his tee shot on no. 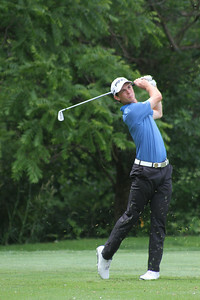 11 during the second round of the 2014 Western Junior Championship. 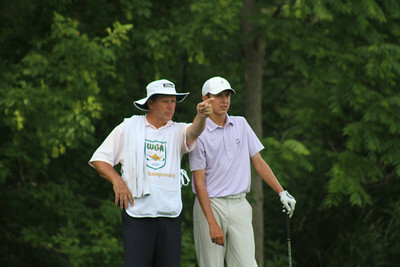 Daniel Wetterich and his father size up no. 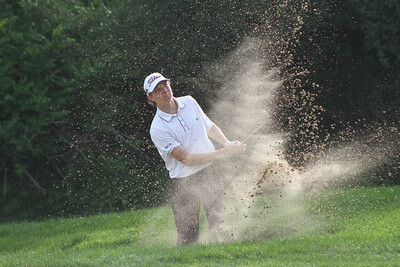 11 during the second round of the 2014 Western Junior Championship. 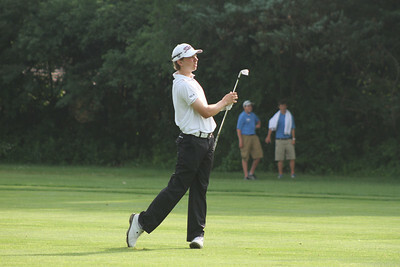 A group, including then-tournament leader Daniel Wetterich, walks up the 18th fairway during the second round of the 2014 Western Junior Championship. 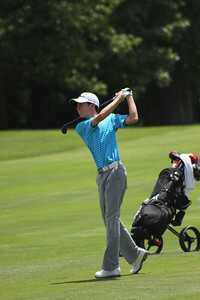 Jack Comstock of Jacksonville, Florida hits a shot from the fairway during the second round of the 2014 Western Junior Championship. 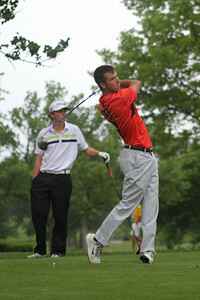 Dawson Armstrong of Brentwood, Tennessee hits a tee shot off no. 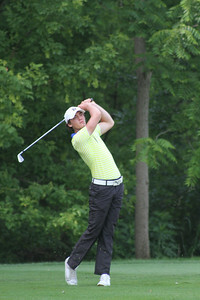 11 during the second round of the 2014 Western Junior Championship.